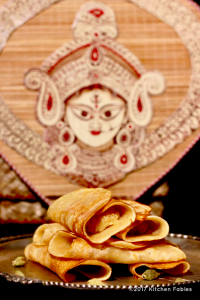 Patishapta is a popular sweet from the state of Bengal in India. I learnt this recipe from my friend Smita’s mother in law Mrs. Shyamali Mukherjee. I will refer to her as Aunty, as thats what I call her. I meet her many a times in the evening when she comes down for a walk and I am returning from work. We exchange smiles and check on each others well being but rarely talk, much. Last month she made Patishapta and sent it to us. After the Diwali overload of sweets I wanted to avoid sweets, but how could I resist a new sweet. One bite and thats it, I finished one full Patishapta. My husband who is also not very fond of sweets , loved it. I had to learn how to make it. 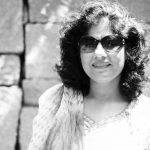 Smita and her family regularly supply me with Date Palm Jaggery. The Last time Smita got me Date Palm Jaggery I made Date Palm Jaggery Kheer ( Rice pudding made with Date palm Jaggery ). Shyamali Aunty reached Bangalore yesterday and she got me more Jaggery. I was actually waiting for her to come so that I could learn how to make Patishapta. It is fun to sit with elders and learn recipes from them. I love it not just because I learn from them , but also because we get to hear many stories. I discovered Shyamali Aunty also cooked sweets in large quantities at home like my mother. She has lived mostly out of Bengal and therefore used to make Patishapta during Holi and Diwali as well as Durga Pooja. 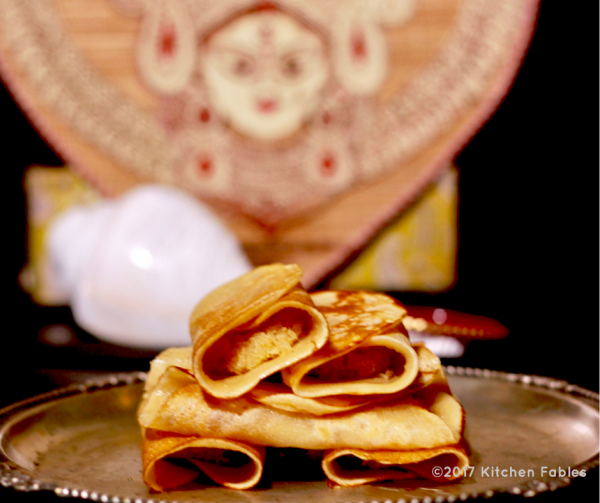 Recipe for Patishapta- A Bengali sweet. 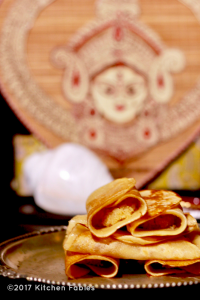 A crepe made of rice flour, all purpose flour, semolina and filled with sweetened coconut and reduced milk. Mix all the flours, date palm jaggery and milk into smooth batter. Keep the batter for 30 minutes. Pulse grated coconut in a mixer and mix it well with reduced milk ( khoya/ mawa ),sugar and date palm jaggery. Once the mixture is cooked well , add cardamon powder and mix well. Make 30 balls of almost a large size lemon. Press them to give an oval shape. Heat a non stick pan , grease it with a little ghee or oil. 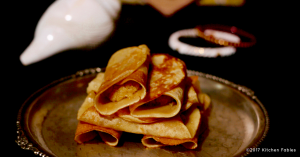 Pour 1/4 cup bater and make an oval crepe. when the sides of the crepe turn golden put the oval shaped filling in the centre. Fold the sides and cook till the crepe is of golden colour. Instead of Date Palm Jaggery you can also use normal Jaggery or Sugar. Adjust the quantity of Sugar as per sweetness required.